Nicholas V. Artamonoff left behind a collection of at least 1033 photographs dating from 1930-1947. His photographs are organized as separate collections in two repositories: The Image Collections and Fieldwork Archives (ICFA) of Dumbarton Oaks Research Library and Collection (544 photographs) and as part of the Myron Bement Smith Collection at the Freer Gallery of Art and Arthur M. Sackler Gallery Archives (Freer and Sackler Archives) of the Smithsonian Institution (477 photographs, 3 of which are also deposited at ICFA). A small group of eleven photographs that Artamonoff took on the campuses of Robert College and the American School for Girls in Istanbul were recently discovered in two archives: Robert College Records, 1858-1986 held by the Rare Book and Manuscript Library (RBML) at Columbia University in New York (5 photographs), and Robert College Archives, Robert College in Istanbul (six photographs). The German Archaeological Institute (Deutsches Archäologisches Institut) in Istanbul also owns fifteen photographs, fourteen of which overlap with those in the ICFA’s collection. 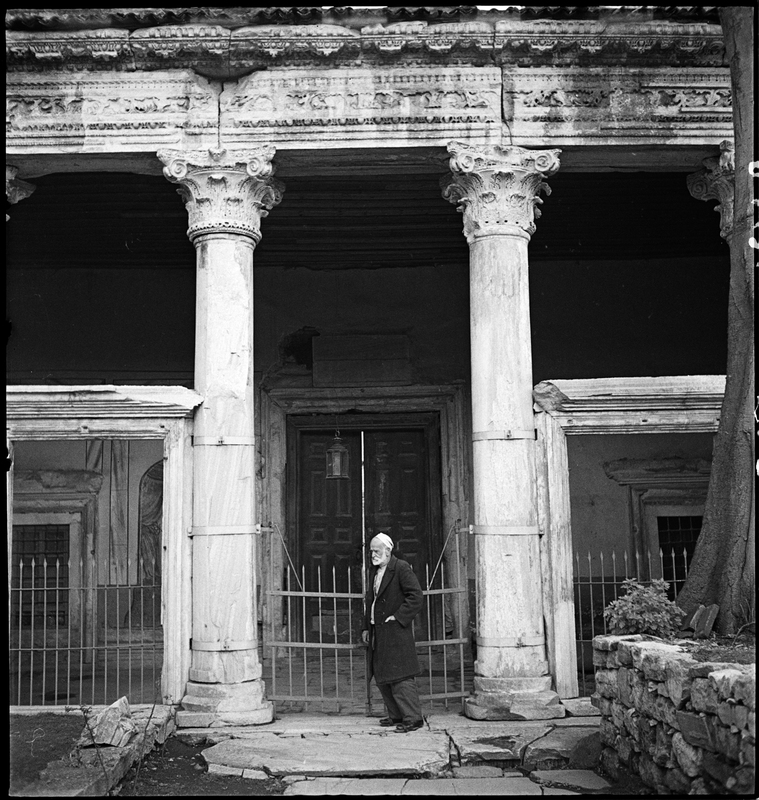 The Nicholas V. Artamonoff Collection (PH.BZ.010) at ICFA includes 544 photographs taken in Istanbul and five archaeological sites in Western Turkey (Ephesus, Hierapolis, Laodicea on the Lycus, Pergamum, Priene) from 1935 to 1945. ICFA holds the original negatives of these photographs. They were acquired on July 11, 1962, through the support of Robert Van Nice, a Research Associate at Dumbarton Oaks who had worked in Istanbul conducting an architectural survey of Hagia Sophia. In 1980 all of the original Artamonoff negatives were copied to safety film negatives by ICFA for their preservation, and are housed in ICFA cold storage. All of the Artamonoff negatives were digitized in 2010 by ICFA interns Sharon Ke, Sara Wendell, Erica Abbey, and Luiza deCamargo. This site also features 124 photographs found in ICFA's Robert Van Nice Fieldwork Records and Papers (MS.BZ.012). These photographs are believed to have been taken by Artamonoff. They document some of the same locations as Artamonoff, were taken during the same years that he was active in Istanbul, and display an artistic perspective that is similar to that of Artamonoff. The Freer and Sackler Archives holds 477 Artamonoff photographs of Istanbul and other cities in Turkey (Bursa, Izmir, Selçuk, and Yalova). David Hogge, Archivist, and volunteers digitized these photographs in 2011 and 2012. The photographs were identified by William J. Harper, a graduate student in the Department of Archaeology and History of Art at Koç University in Istanbul, Turkey, in 2012-2013. RBML acquired the Robert College Records, 1858-1986, in 2006. Five photographs of Robert College and the American School for Girls and attributed to Artamonoff have been found in this collection. They were digitized in 2012 by staff at Columbia University's Butler Library. This online exhibit has been created by Günder Varinlioğlu, former Byzantine Assistant Curator of ICFA, and Alyssa DesRochers, former ICFA intern. The project is ongoing; comments or questions about the photographs, photographer or project are welcomed. Top Left: Narthex facade of St. John Studios, ICFA.NA.0004. 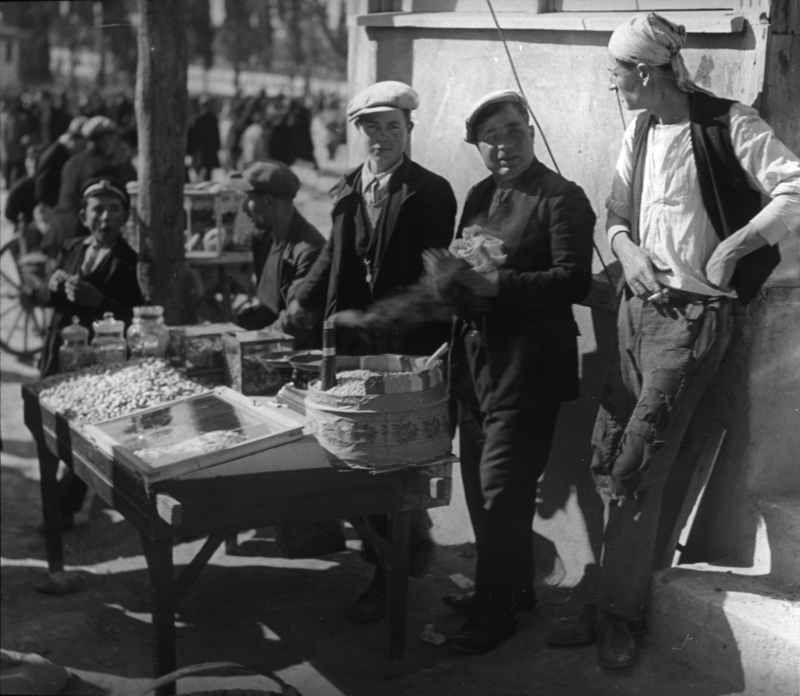 Lower Left: Street vendors, J1-8. © 2011-2013, Dumbarton Oaks, Washington DC, Trustees for Harvard University, all rights reserved.